Interestingly, almost everything begins with our mouths. Certainly, our nourishment begins with our mouths. And, our mouths have become unhealthy – more unhealthy than ever before in our species’ 2.5 million-year journey. Stinky breath could be a manifestation of many diseases. Over the course of 2.5 million years, our species evolved into a perfect machine. Dealing with a host of environments and demands, our genetic structure developed the abilities to become the master control center of our well-being. But beginning 10,000 years ago or so, our species has been progressively at odds with our genetic code. In many aspects we have become an unhealthy people. Our modern lifestyles have brought us to the brink of either continuing on a destructive path or taking steps to repair our body. However, for the most part, we do have control over these missteps. You may be surprised that poor lifestyle choices cause chronic inflammation, which in turn is a major factor in many of today’s diseases. A study published in 2012 showed that 47.2% of the adult population over the age of 30 in the United States had periodontitis (which translated to 64.7 million Americans), and an astounding 70.1% of those over the age of 65 had this disease. Periodontitis is more serious than gingivitis, which is inflammation only in the gum tissue. Periodontitis is an advanced stage of gum disease where the gums are infected and the bone surrounding the roots of the teeth are breaking down. This disease leads to bad breath, loose teeth, loss of teeth, sensitive teeth, pain, gum recession, and even spread of infection to other parts of the body. Gum disease is an important thread of integrative medicine. Obviously, our primal ancestors did not have toothbrushes and did not see a dentist every 6 months, but they had relatively healthy mouths. They hardly ever had gum disease or tooth decay. Why? The “whys & hows” are related to the nourishment we give ourselves and the lifestyles we lead. As I stated, our modern lifestyle has brought us to the brink of either continuing on a destructive path or taking steps to repair our body. The steps to repair our body do not have to be complicated. The steps require an anti-inflammatory, nutrient-dense diet and a lifestyle similar to those of our primal ancestors. This lifestyle includes efficient exercise, restorative sleep, and stress reduction. Whatever eventually happens on a cellular level anywhere in the body also affects the entire human complexity. 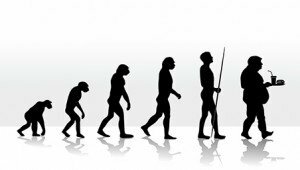 All will be discussed in my new book titled, MODERN LIFESTYLE AT THE BRINK: Perspectives & Solutions from 2.5 Million Years of Evolution. Publication date is yet to be determined.